The financing of coal mines and coal-fired power stations was not affected by the economic crisis that has rocked the world economy since 2009. According to a report published on 2 December by a group of NGOs, the biggest banks in Europe and America continued to invest significant sums of money in coal. Coal’s bad reputation has pushed investors away from what is widely considered as the most carbon-intensive and polluting energy source. Governments and local authorities, private sector and development banks, have all been gradually divesting from fossil fuels in general, coal in particular. Since the opening of the COP21, calls to end public subsidies and private investments in fossil fuels have been louder than ever. Presented by the Prime Minister of New Zealand, John Key, the Fossil Fuel Subsidy Reform Communiqué urges the international community to commit to ending all fossil fuel subsidies. This initiative is supported by around 40 countries, including France, Canada, Mexico, the United States and Uganda. If the process of ending public subsidies for fossil fuels is slow and difficult, it is often at a complete standstill among private investors. The “Carbon Test” report revealed that between 2009 and 2014, the big European and American banks provided two and a half times more finance for the coal sector alone than for all renewable energies combined. In total, they invested $105.59 billion in renewable energies (wind, solar and geothermal), and $257 billion in coal. “International banks have […] allocated more than $257 billion to the dirtiest energy sector between the Copenhagen and Paris climate summits,” said Yann Louvel, from the organisation BankTrack. In France, BNP Paribas, Société Générale and Crédit Agricole have all committed to ending their financing of coal mines around the world. But these banks are far less ambitious when it comes to coal-fired power stations. 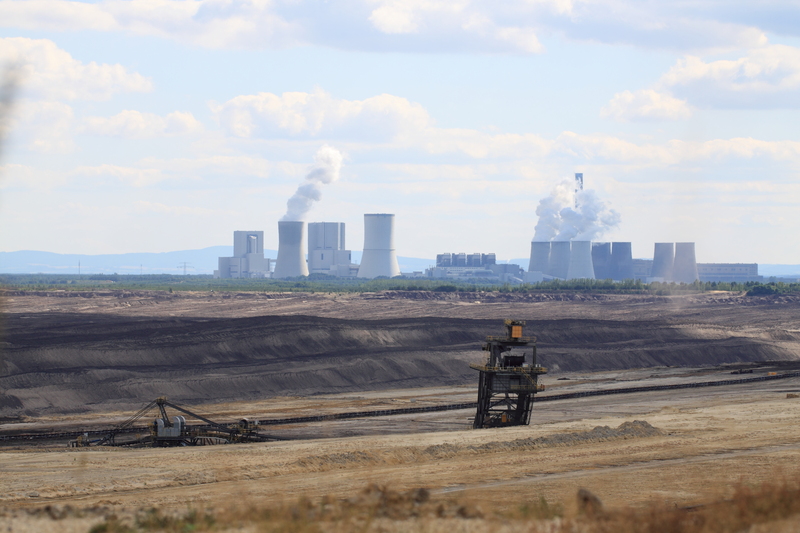 The three French banks have announced that they will end their investments in coal-fired power station projects in high income countries, which only represent around 12% of the market. “This year we have seen certain banks, particularly the French banks BNP Paribas, Crédit Agricole and Société Générale, adopt policies of reducing their financing for coal in order to look good ahead of the COP21. We will follow the application of these measures very closely,” warned Lucie Pinson, private finance campaigner at Friends of the Earth France. Despite this progress on investment, the three French banks invested a total of $32.87 billion in coal between 2009 and 2014, according to the report by Friends of the Earth, BankTrack, Urgewald and the Rainforest Action Network. In Germany, the picture is even less rosy. None of the country’s big banks reviewed by the report has so far announced a single measure aimed at divesting from coal. Deutsche Bank alone invested $13.84 billion in the coal sector between 2009 and 2014. And it is yet to commit to any kind of divestment. According to the report, the bank has not yet decided to put an end to its investments in open-pit coal mines; a promise most major banks have already made. Crédit Suisse is another major bank that has yet to make the slightest commitment to slim down its coal investment portfolio, and Britain’s banks invested a total of $36.7 billion in coal over the same five year period. The International Energy Agency currently predicts that global demand for coal will continue to grow until 2019, albeit at a reduced rate (+2.1% per year, as opposed to 3.3% per year between2010 and 2013). In addition, coal is heavily subsidized by countries and through taxpayers money.